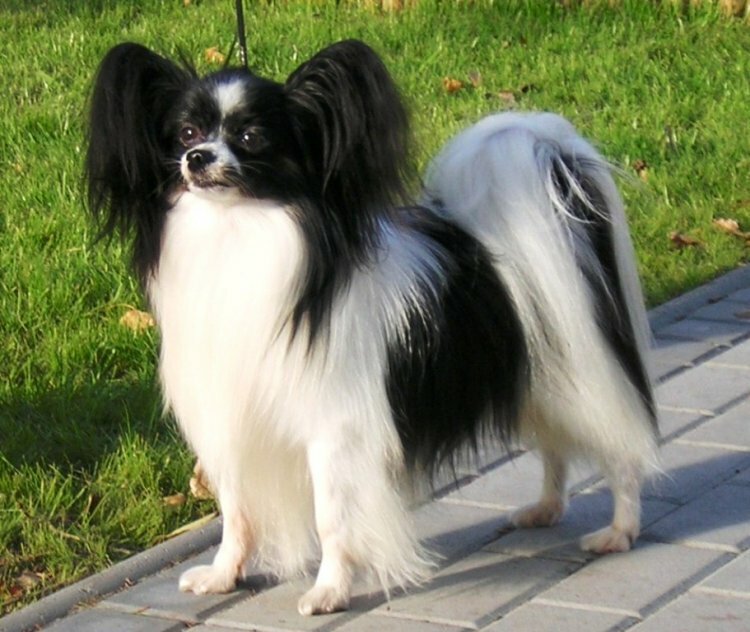 This breed also called the squirrel dog , differ from papillon only in the positioning of its ears , which are dropped . giving a more spaniel like appearance . in all other respects the two are the same , and in Britain and the united states they are treated as one breed . both are orginated in the 17th century , descended perhaps from the spaniel dwarf spaniel , but showing the influence of spitz-type dogs in the shape and coat . they are exceptionally clean in their habits, and like most toy breeds , both can suffer from slipped kneecaps.